Rockstar Games has consistently provided some of the most original, ground-breaking, and just all-around-good-times video gaming in the last decade. Did you know the Grand Theft Auto series alone has sold over 124 million copies? 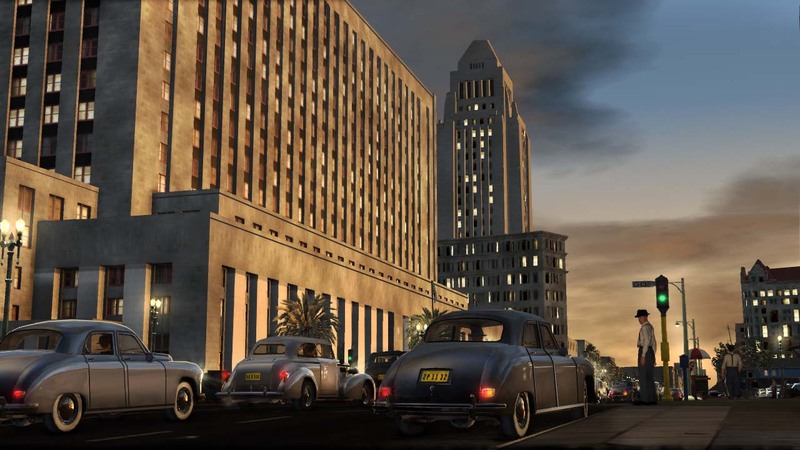 Since Grand Theft Auto III dropped on the Playstation 2, 10 years ago this October, the concept of the “sand-box” game has reached a pinnacle of graphics, gameplay, and story with LA Noire. 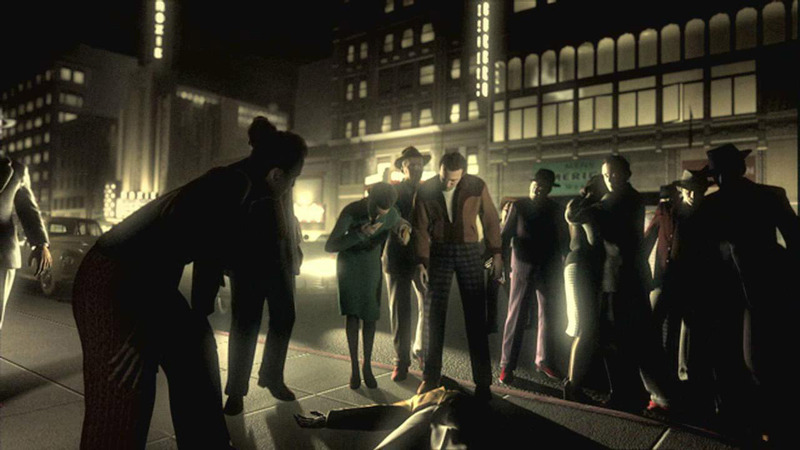 Gone are the free-floating weapons, the killing-sprees are reserved for off-screen, and this time, Rockstar takes us into the mind of a straight-laced gumshoe circa 1947. Los Angeles in 1947 was a beautiful place, a land of hopes and dreams, Hollywood promised fame for every boy and girl that stepped off the bus from where ever… however more often than not those promises we only weighed with blood, sweat, and tears. From the first scene we are placed in the perfectly shined shoes Officer Cole Phelps, a war “hero” who was a Lieutenant in the Pacific theater, and now believes he must atone for his sins in the war. Now, believe me when I say, that Team Bondi (the Rockstar division responsible for this iteration) has faithfully recreated the Los Angeles of 1947. I’m talking, exact model here. Robert Spence is a photographer who in his 50 year career, took over 110,000 aerial photographs of Los Angeles. Team Bondi used Spence’s photographs to recreate traffic patterns, public transport routes, and the locations and conditions of every building in the greater LA city boundaries. These are the mean streets, truly. Whether you choose to play the game in black and white mode, or regular color, it is simply amazing to drive around this town (even though our camera angles for driving are now firmly constricted to behind-the-car irritability… some of us need to drive from inside the car, like normal!). One of the longest complaints about video games’ “sense of reality” is the lack of distinction when it comes to the face. Recent games have managed to make some of the greatest characters, levels, and beautifully drawn landscapes in history, so why haven’t they been able to nail the face? Well that’s all history now, LA Noire brings the face. Not only can you tell when a shifty gaze means a suspect is hiding something, but most importantly the mouths match the dialogue. You could really turn off the sound and read lips (if you knew how) in this game, it’s almost on par with anything going on in Hollywood. While it would take an Avatar budget to get Avatar-like animation, this game really gets it right when it comes to motion-capture… Grand Theft Auto IV and the penultimate Red Dead Redemption have brought something new to the video game arena: reality. In fact, it’s hard for a player with a large amount of imagination not to simply fall into the game. 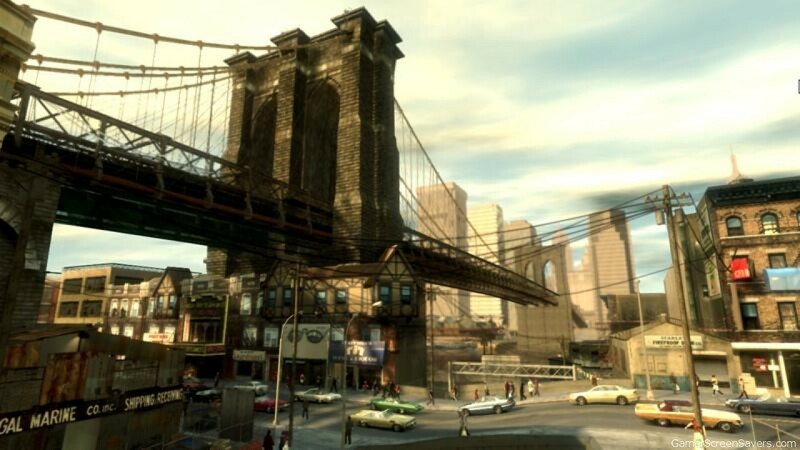 Especially in GTAIV, with it’s immaculate recreation of New York City in Liberty City (on the whole, and in my belief) is the greatest character ever created in a game. 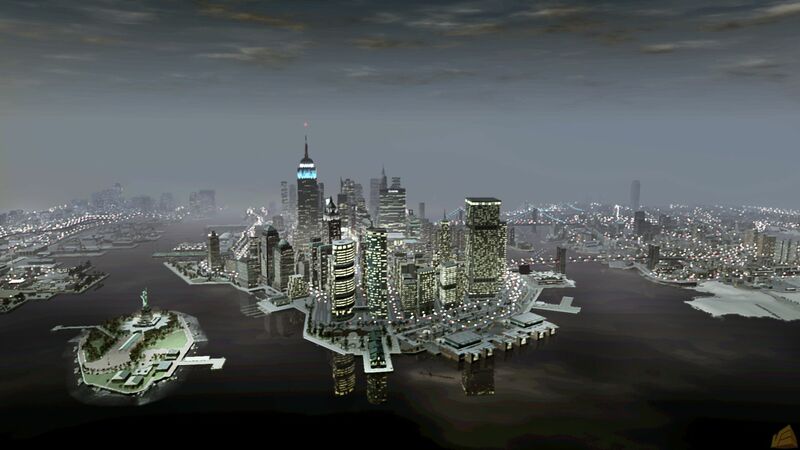 From the skyscrapers down to the pollution-filled rivers, the burroughs to Times’ Square, Liberty City is flawless. 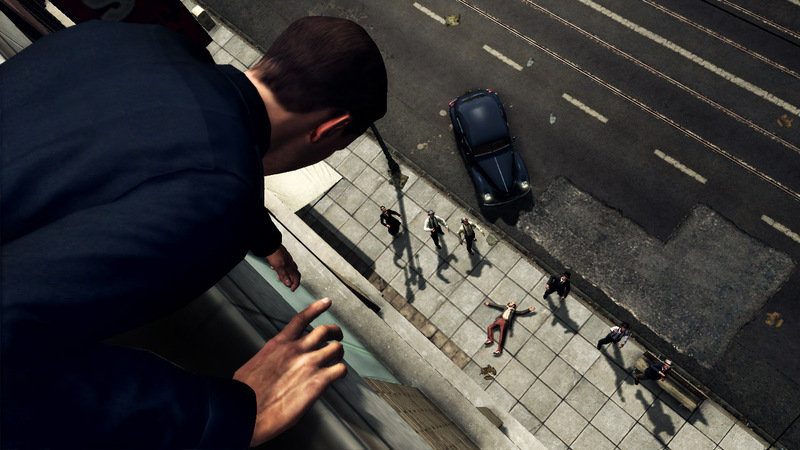 I have started GTAIV many times with the intention of completing a few missions, only to get lost in the scenery… watching drivers crash, get out, and have screaming matches, homeless street-preachers spouting an endless tirade of biblical paranoia… It’s enormous. 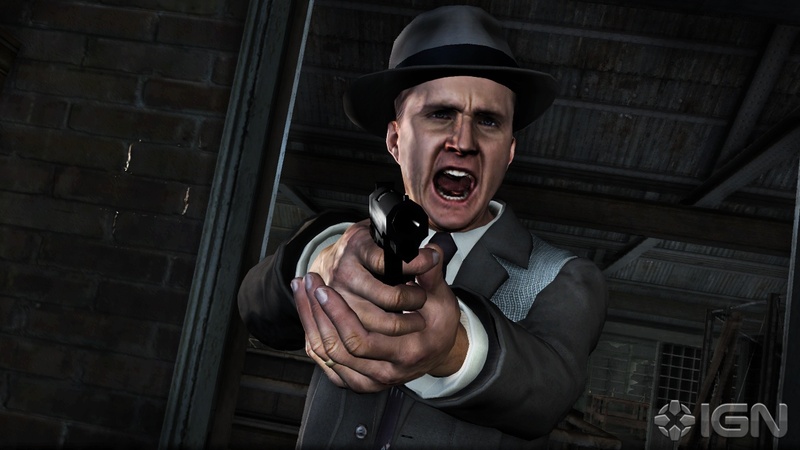 Officer Cole Phelps is easy enough to navigate through this alternate reality of 1947, you can feel his weight when you push the controller’s stick, he doesn’t “spring,” he leans. If you push the stick, he’ll begin to walk, then trot, then run (if you hold R2)… as the characters in GTAIV do… the realism is there. As you guide Phelps through his career, he’ll encounter many people, places, and things that he can interact with. Whether it’s interrogating a suspect, questioning a neighbor, or interviewing another policeman… running after an assailant and finally being able to pull your gun (no draw-and-shoot capabilities here, you’ve got to wait for the computer to draw your gun for you) everything a cop can and will need to do in the line of duty is mapped out in LA Noire. Through the cunning use of a notebook Phelps keeps clues, locations, suspects, and information organized for each case. The interview process is heavily mapped out, and despite initial feelings that I was going to botch an investigation due to ineptitude, it’s thankfully idiot-proof. If you mess up a line of questioning too bad or accuse someone without proof, you’ll hear about it, but it won’t change the final outcome of the case… it’s going to get solved. In fact that might be one of the biggest downfalls of the game: that even if you blow every question in an interrogation, ultimately the case will be solved. I think it would’ve been better to simply fail the case and have to start over than be poked and prodded along through police work. There’s no way to change this either. All-in-al my first impression of LA Noire is amazing. It’s not as much fun as GTAIV or Red Dead Redemption, simply because it’s too much fun to kill the innocent and destroy the environment around you. So as a square policeman, life can be dull in Los Angeles. The ability to answer any police call while driving, is fun… stopping off to chase down perps or shoot it out with bank-robbers keeps things fresh… but I simply haven’t played enough to see what the world is like post-homicide cases (I’m still mid-way through solving some of the most gruesome murders LA has ever seen). Rockstar and Team Bondi have brought us another winner though, I can tell you that. 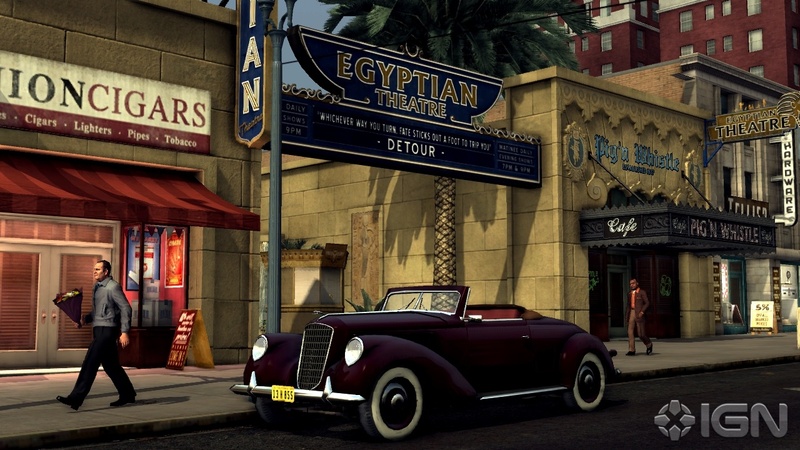 LA Noire is addicting, clever, well-written, and well-acted. Pick it up and check it out for sure.